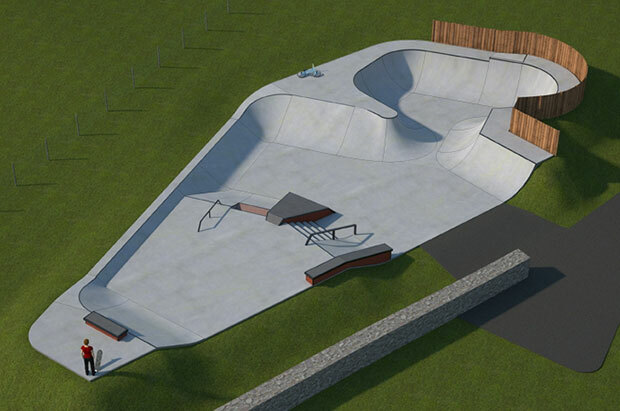 The Street course has many popular skatepark features; Stairs, Ledges, Handrails, mixed in with some more interesting obstacles such as the triangular hubba ledge/manual pad with wallie ends. This leads down to an open bowl with hips and a volcano going in and out of it giving a transition element and making this a well-rounded design. A road trip up to what must be the most northerly skatepark in the UK seems likely!!! 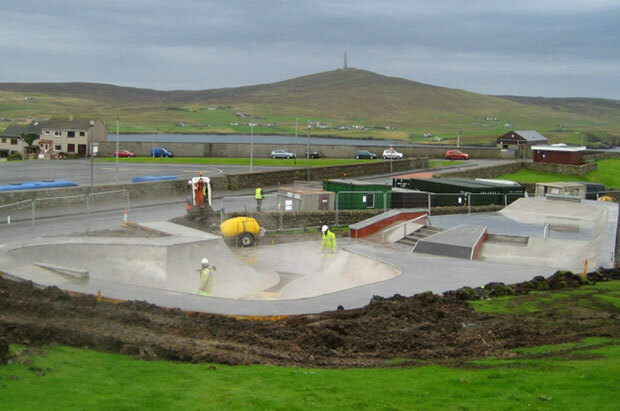 The park address is located on the west side of Knab Road, Lerwick, Shetland Isles, ZE1.